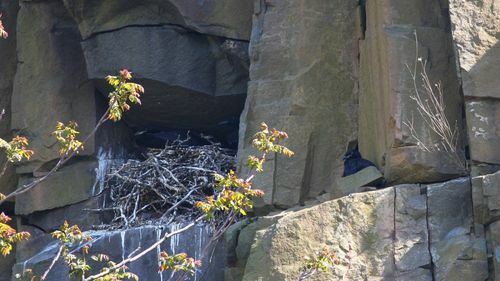 The Laurel Hill Walk on Sunday at 10 a.m. promises to be nifty — we checked out the Common Ravens' nest on Friday, and it appears to be a full house. We are unsure how many nestlings there are, but there have been reports of at least three. The nest is so crowded that one of the parents sits on the ledge outside the nest. We'll have spotting scopes on Sunday so everyone will get great views. Details on the walk follow — be sure to rsvp. 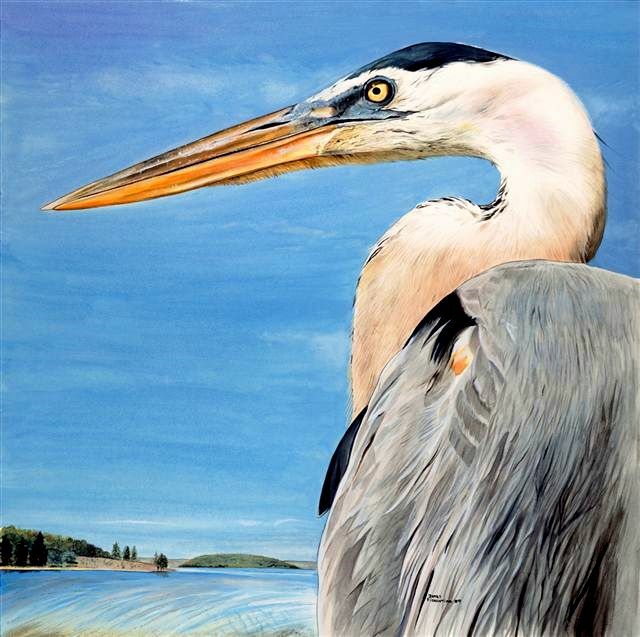 The New Jersey Meadowlands Commission’s Flyway Gallery will host an exhibit featuring watercolors of herons, eagles, foxes and other wildlife during May. The show, “The Wildlife Art of James Fiorentino,” is on display from Sunday (May 2) through Friday, June 4. Fiorentino’s wildlife paintings, which include portraits of Black Bears, Mountain Lions and Peregrine Falcons, are known for their exquisite detail and realism. A reception for the artist is scheduled for Sunday, May 16, from noon to 3 p.m. More information and a painting of Bald Eagles follows. 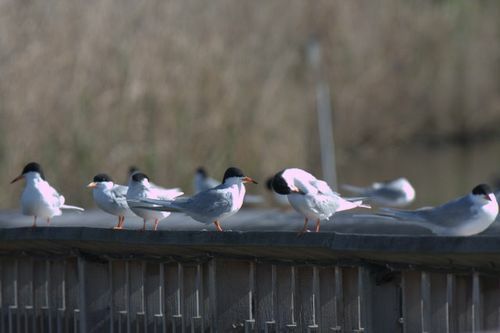 The elevated boardwalk next to Meadowlands Environment Center at DeKorte Park has become a huge hangout for Forster's Terns. At least two dozen were hanging out there this morning. They are also zipping around the Shorebird Pool and splashing into the water to catch fish — quite successfully, as you can see below. There's a great air show going on above the Shorebird Pool (outside the Meadowlands Environment Center) in DeKorte Park these days. It's open to the public, free of charge. 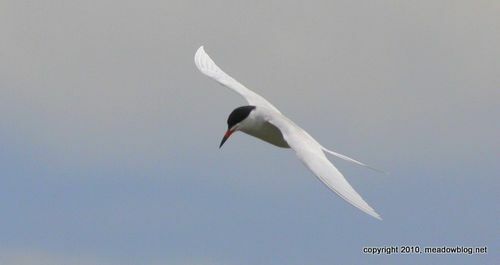 On Wednesday afternoon we had close-up views of Forster's Terns (above and left), Tree Swallows, Barn Swallows and Ospreys. If you want to see some lightning-fast birds, try following some of these guys as they whisk around the tidal impoundment. 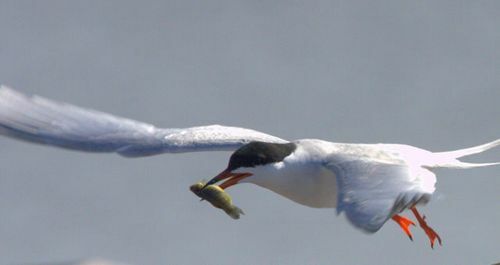 At least the Forster's Terns make enough noise for your eyes to catch up with them. When you photograph these terns (and the photo isn't a total blur), you begin to appreciate how aerodynamic (and awesome) they are. The Ospreys, on the other hand, love to hover above the water. almost in slow motion sometimes. We had two Ospreys fishing at once on Wednesday afternoon. 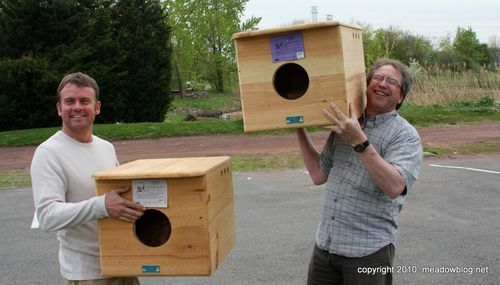 NJMC Naturalists Mike Newhouse and Brett Bragin took delivery last week of two new big Barn Owl boxes, donated by Scott Gunther and Wild Birds Unlimited of Paramus. "We certainly have Barn Owls in the Meadowlands, and we'll put these to good use," says Newhouse. These two photos were taken about an hour apart earlier this month. Just about anywhere you look in the Meadowlands these days, it seems like you see an Osprey or two — from the Kearny Marsh to Carlstadt and beyond. 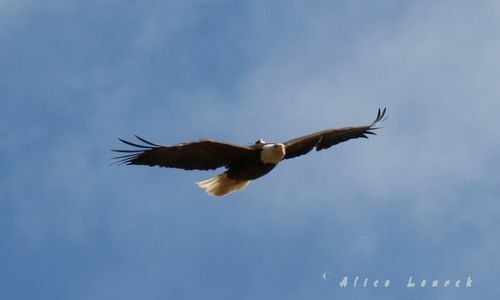 The saga of the Overpeck Preserve Bald Eagle with the transmitter has turned into a real mystery. 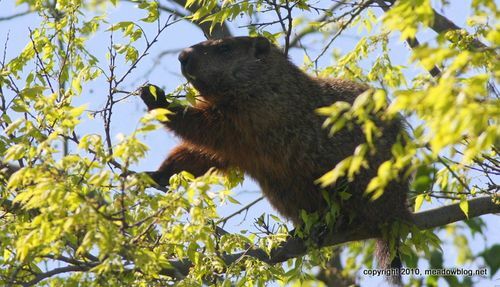 We checked with Fish and Wildlife Departments in Virginia, Maryland, New York, Maine and Quebec, but came up empty. 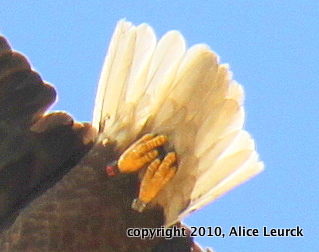 After we posted Alice Leurck's photo above on this blog, a reader suggested we checked to see if the eagle's legs were banded, because Bald Eagle banders in various states use different color bands. Alice checked her photos and, sure enough, we were able to make out the bands in one of the shots. The left leg had a red/black band, and the right leg had a silver band. Identify these two creatures, but don't be too hasty.